Finding a new church can sometimes be a challenge. With so many choices today, it’s difficult to understand the differences. If you’ve never been to church before or you’re used to a different church, the information below can help you get oriented. If you have any questions, please feel free to contact us. When we gather together on Sunday mornings, it is meant to be a time of joy and relaxation. We pray together – We believe in a God who is active and present in our lives and who listens to our prayers. Don’t worry if you don’t know what to say. If there’s anything that we all say together, it’s printed in the bulletin. There’s also a time (called “Joys and Concerns”) when anyone who wants to can share their thanks and hopes for the week. If you choose to share your thoughts, you can’t say the wrong thing: they’re your words! We sing together – Our choir leads us in song. The words and music are printed in either one of our hymnals or in the bulletin. Someone once said “When you sing, you pray twice.” Sharing our faith in song is another way to experience God. We listen together – Members of the church volunteer to lead us in prayer and to read stories from the Bible. The preacher offers a meditation on the scripture reading. These are his thoughts after careful prayer and study and are offered as such — they are not expected to be taken as the only “truth” or interpretation. Hopefully, the meditation will only be the start of the conversation with the preacher or others who have heard the message. We support one another – Life has many ups and downs. As a church community, we know that we lean on each other when we need help and that we can support others when they need us. It is truly a blessing to share life’s joys and concerns together. It can sometime be scary to enter into a church with traditions different from what we know. Below we’ve listed some differences and similarities with the Roman Catholic tradition. If you have questions about another church, please let us know. 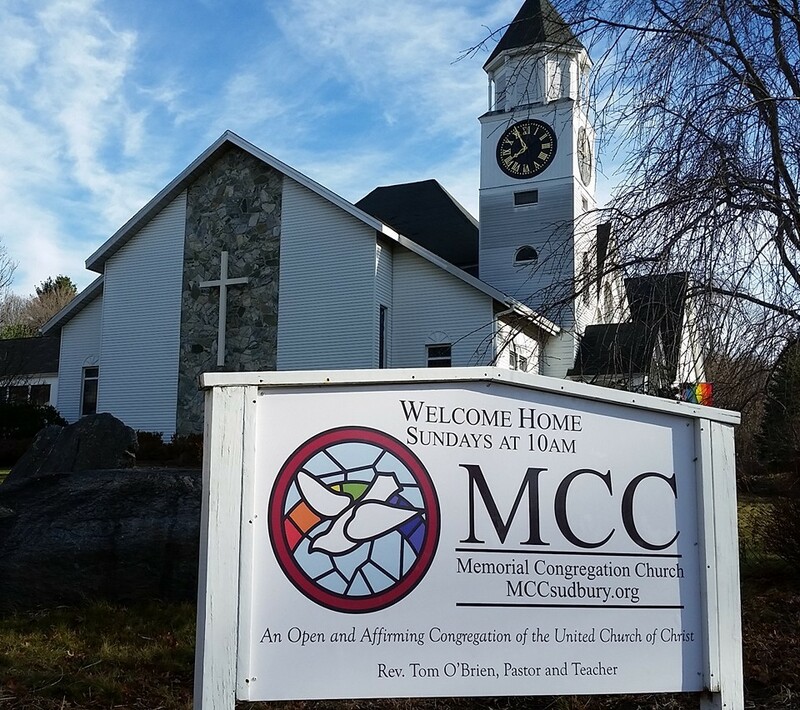 While there are many differences between the Catholic church and MCC, you may be surprised at the similarities. We talk about God, Jesus and the Holy Spirit. We read from the Bible. Yes, we even pass an offering plate. We all agree to find God on our own terms. Everyone is welcome to develop their own understanding of God. Sermons are acknowledged as the Pastor’s personal reflection and are meant as a conversation starter. It is not expected that everyone will agree with what the Pastor says. The church is governed by the church members. Member churches of the United Church of Christ are autonomous organizations. The UCC is not a governing body, the congregations control their own path. We celebrate two sacraments: baptism and communion. Communion is celebrated on the first Sunday of the month and on special occasions. We use baked bread and grape juice. Everyone is invited to share the meal.